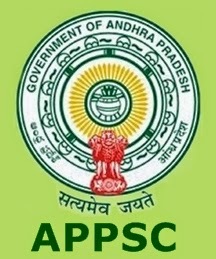 APPSC AE in Various Engineering Services- List of Provisionally selected candidates. It is hereby informed that the list of candidates provisionally selected for recruitment to the post of ASSISTANT ENGINEERS IN VARIOUS ENGINEERING SUB SERVICES Vide Notification No.09/2016 has been declared. The list is available in Commission’s website i.e., www.psc.ap.gov.in as well as in the Notice Board of the Commission’s Office. It is hereby notified that on the basis of the results of Screening Test (Written Examination) held on 18.12.2016 FN and Main Examination (Computer Based Test) 01.02.2017 FN&AN and verification of Original certificates held from 23/04/2017 FN&AN to 25/05/2017 FN&AN , 03.07.2017 FN&AN , 04.07.2017 FN&AN & 10.07.2017 FN&AN. The candidates, whose Register Numbers are given below have been provisionally selected for appointment to the posts of Assistant Engineers in various Engineering Sub-Services vide Commission’s Notification No.09/2016, Dt.30-09-2016 subject to the following conditions. 1) That success in the Examination confers no right to appointment unless the appointing authority is satisfied after such enquiry as may be considered necessary that the candidate having regard to his/her character and antecedents are suitable in all respects for appointment to the services. 3) That the Candidate should produce original certificates as may be required by the appointing authority in accordance with the Rules/Notification.